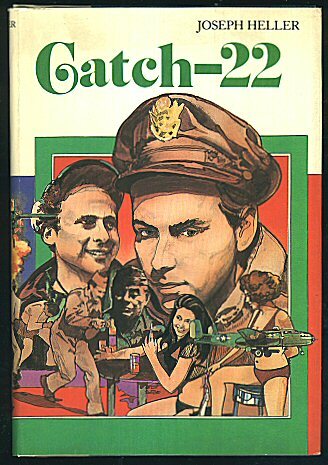 At the root of Joseph Heller's Catch-22, often heralded as one of the outstanding literary works of the 20th century, is an antinomy. The book relates to American bomber crews in WWII. The protagonist, a B-25 bombardier, is convinced he will perish in the near-suicidal missions, and plans to fake insanity in order to be discharged from his duties. Insanity is a valid reason to stop flying missions. However, a pilot has to personally request that he be grounded on the basis of his insanity. The fact that he is able to make that request is taken as proof that he is, in fact, sane, and he will obliged to fly more missions. That is the eponymous Catch-22, the antinomy, in the book. "There was only one catch and that was Catch-22, which specified that a concern for one's own safety in the face of dangers that were real and immediate was the process of a rational mind. Orr was crazy and could be grounded. All he had to do was ask; and as soon as he did, he would no longer be crazy and would have to fly more missions. Orr would be crazy to fly more missions and sane if he didn't, but if he was sane, he had to fly them. If he flew them, he was crazy and didn't have to; but if he didn't want to, he was sane and had to. Yossarian was moved very deeply by the absolute simplicity of this clause of Catch-22 and let out a respectful whistle." Do you have any examples, or experience of, antinomy? Please post any in the comment section below.